MARTINIANO Glove Shoes are inspired by the traditional Argentinian loafers and dancing slippers, and they have stolen the hearts of fashion editors and bloggers alike. 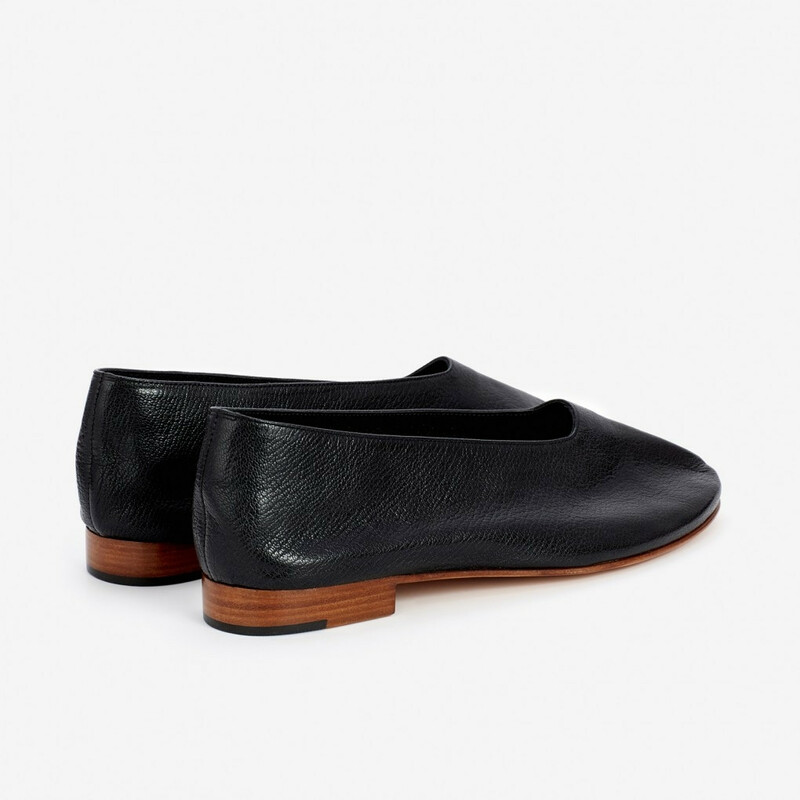 These handcrafted minimalistic shoes are made from soft, yet durable, form fitting Italian grained leather. The natural curve of the feet defines the final personal shape of every pair. The style features high in step and padded insole. Contrasting stacked leather heel in natural leather colour. Black rubber tab under back of the heel for added durability. Thanks to the thin leat. Read more.. 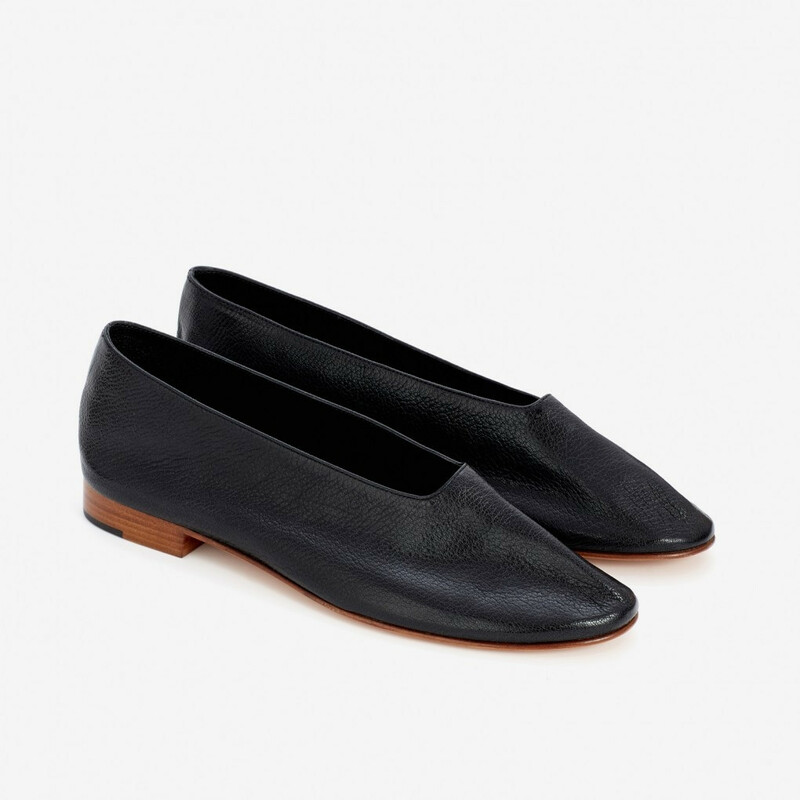 These handcrafted minimalistic shoes are made from soft, yet durable, form fitting Italian grained leather. The natural curve of the feet defines the final personal shape of every pair. The style features high in step and padded insole. Contrasting stacked leather heel in natural leather colour. Black rubber tab under back of the heel for added durability. 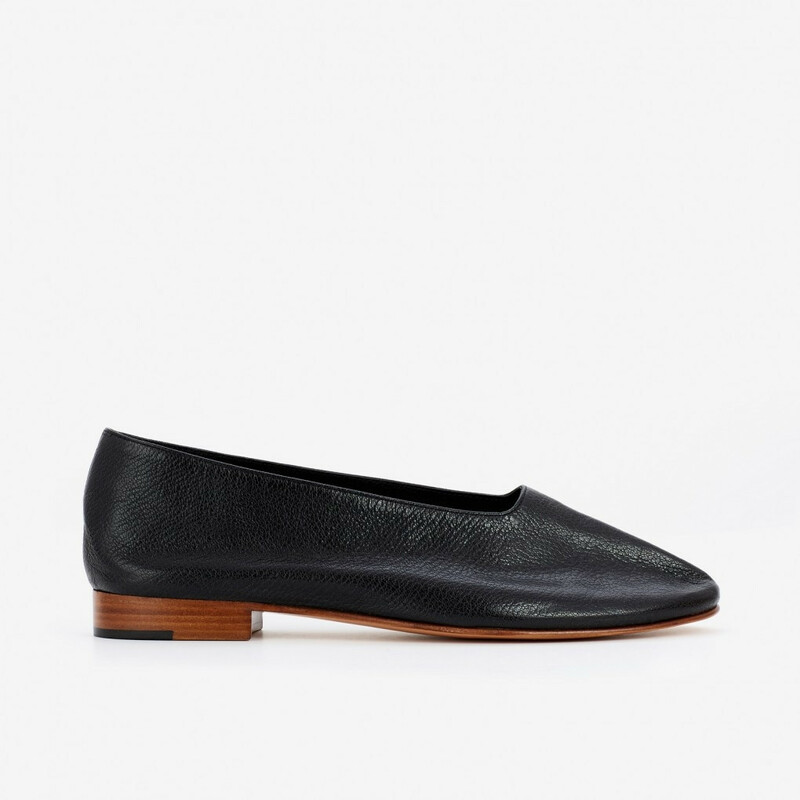 Thanks to the thin leather and lacking lining the shoes are truly comfortable and breathable. 1 x Glove Shoe Black Grainy Calf was added to your shopping bag. 1 x Glove Shoe Black Grainy Calf was added to your wishlist.